Laureate Professor Graeme Jameson's contribution to the Australian economy and the environment as the inventor of what is considered by many to be the nation's biggest export earner in the last 25 years, has earned him gold status within the minerals industry and the inaugural Prime Minister's Prize for Innovation in 2015. Dealing in 'bubbles', Prof Jameson revolutionised a mineral separation process first invented in 1905, to develop the Jameson Cell, a froth flotation device, that has netted Australia more than $36 billion in exports. Prof Jameson' research continues to push the boundaries and he is currently working on a Fluidised Bed Flotation Cell that has the potential to make massive reductions in the energy used in Australia's minerals industry. For many years, Prof Jameson's attention had been focused on improving the effectiveness of extracting valuable minerals from rock. "I had been looking at ways to improve the flotation process for many years. 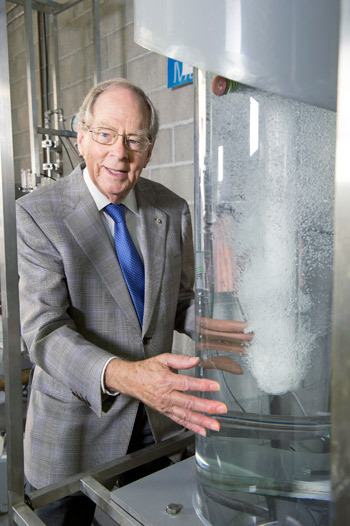 I knew flotation was important to the Australian industry and felt the answer lay in the mechanics of fluids and particles," Prof Jameson said. The Jameson Cell is a radically different flotation device that changed the way that minerals were recovered and earned Jameson almost legendary status in mining and engineering circles. With over 300 cells now in operation across 25 countries, the Cell is being used for copper, coal, zinc, nickel, lead, silver and platinum extraction world-wide. The process involves grinding mineral ores into small particles, suspending them in water and placing them into stirred tanks known as cells. A large mine can treat 10,000 tonnes an hour – that's similar to 10,000 small cars being reduced to dust every hour. The Cell works by blowing air bubbles up through the liquid and using reagents to make mineral particles stick to them. The bubbles form a mineral-rich froth on the surface, which is then scraped off. As well as recovering billions of dollars' worth of fine coal and minerals a year, the Cell has also been used for industrial and environmental applications including extracting oil from tar sands in Canada, cleaning up industrial wastewaters in Newcastle and other locations in Australia, and removing blue-green algae from waterways in inland Australia. The finely-ground particles that were once too small to recover and previously were dumped into rivers, or buried, can now be processed. Old mines now have a longer life, and the environmental damage caused by the need open more new mines is reduced. Jameson's reputation for commitment to an issue was formed early in his career and cemented during his early years at the University of New South Wales. There he worked as a chemical engineering cadet in Sydney while studying part-time over an eight year period, saving to pay his living expenses to do a PhD at Cambridge University. 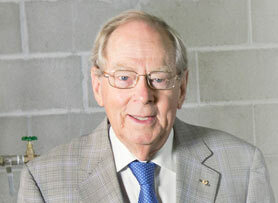 He arrived at the University of Newcastle as Professor of Chemical Engineering in 1978. "I see science and technology as agents for improving people's lives. I'm strongly of the view that curiosity-driven research is of great benefit to society, particularly when it is linked, however tenuously, with the solution of a real practical problem," Prof Jameson said. "As an engineer, my interest is in striving to fix problems that are important to a particular industry, and have previously proven difficult to solve. I like to identify a problem, do the fundamental research into why the current technologies aren't working, and then come up with a practical solution based on the research," he said. Jameson is held in high esteem by colleagues and researchers in the field of flotation. The Editor of Minerals Engineering, Dr Barry Wills, describes Prof Jameson as a "top class scientist and pioneer in flotation science and practice". 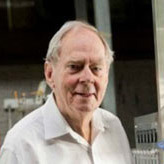 Prof Jameson's services to engineering, science, industry and the environment were recognised when he was awarded an Order of Australia Medal, AO, in 2005. He also was awarded the world's most prestigious award in mineral processing, the Antoine M. Gaudin Medal, in 2013. Other accolades include the CSIRO Medal and being recognised as a Fellow of the Australian Academy of Sciences, the Royal Academy of Engineering in the UK and the Australian Academy of Technological Sciences. In the true mark of a scientist, 30 years on from his initial breakthrough discovery, Prof Jameson is still fine-tuning and improving the Jameson Cell. "I believe that if you're going to put your heart into something, you may as well tackle a problem that will make a difference and benefit the community. At this point in his life, he is not ready to hang up the lab coat. He is now aiming to bring his latest invention, the Fluidised Bed Flotation Cell, to commercial reality. The device will increase the upper particle size limit of flotation and drastically reduce the mining industry's energy and water consumption. Jameson said he wants to create a "quiet environment' for flotation which, interestingly, seems to be in keeping with his softly-spoken character. It has been estimated by the CSIRO that the energy used in grinding rock to retrieve valuable material is equal to 14 per cent of Australia's electricity production. "In this day and age, the amount of valuable material recovered is very small, representing one to two per cent of the feed material, so we are grinding 98 per cent of the feed, only to throw it away," Prof Jameson said. "To recover particles of copper ore, for example, it is necessary to grind the whole of the feed to the plant, to a top size that is typically 150µm - about the size of a human hair," he said. "Currently, because the coarse particles are knocked off the bubbles by the violent, turbulent action in the tank, there is a need to grind the particles to a super-fine state. "My theory is that if we can extract these coarse particles, you won't have to grind so fine and you won't have to expend so much energy." Jameson likens his new technology to the landscape that Newcastle is famous for - the beach. "Imagine a bed of sand. If you're well away from the water the sand will be pretty stable and if you stand on it, you don't sink. However, if you go a bit closer to the water you can make the sand fluidise just by moving your feet up and down," he said. "The sand stays more or less in the same place but the water in the sand is pumped up and down and momentarily it lifts particles away from their neighbours, so the sand becomes liquid-like and you can sink down into it. "The fluidised bed flotation device uses the same principles by pushing air bubbles through the sediment and this creates a quiet environment for the larger particles to attach to the bubbles." Prof Jameson recently completed a study that showed that the costs associated with a mine were roughly 43 per cent mining, 43 per cent milling and concentration and 14 per cent general administration. So a significant reduction in the milling costs will have a flow-on effect for the whole mining enterprise. The Fluidised Bed Flotation Cell is estimated to potentially cut total operating costs of a mining venture, including the mine and the concentrator, by 10 to 20 per cent. Prof Jameson's next milestone will be to develop an operational pilot plant that can be taken to a mine site for testing. With a number of prospects still emerging from his latest research, Prof Jameson continues to be a gold mine of innovation for Australian industry. The University's strength in engineering owes much to the work ethic and reputation of its trailblazers. One need look no further than the University of Newcastle's Centre for Advanced Particle Processing and Transport for proof of the adage 'success breeds success'. The Centre is renowned for world-leading research into the processing, storage and transport of minerals and industrial products and boasts an outstanding record of commercial and academic achievement. Its research has led to technological advances that have produced multi-million dollar savings for industry, and it is at the forefront of developing new-generation processes that reduce water and energy use. Much of that success is due to the foundation laid by two of the University's elder statesmen and principal researchers in engineering, Laureate Professor Graeme Jameson and Emeritus Professor Alan Roberts. Both have had long and esteemed careers with the University, Roberts arriving as Professor of Industrial Engineering in 1974 and Jameson as Professor of Chemical Engineering in 1977. Both have been recognised with Order of Australia awards and have received the prestigious Peter Nicol Russell Memorial Medal from the Institution of Engineers Australia for outstanding service to their profession. Both have also been elected to learned scientific and engineering academies. Roberts was responsible for the University developing what has become an important and lucrative niche in bulk materials handling, a little-explored area of research back in the 1970s. He established TUNRA Bulk Solids Handling as a research group and commercial consultancy in 1975. Since then it has completed more than 4000 projects for clients in 40 countries and made an invaluable contribution to research in the field. "It has become one of the flagships of the University and has certainly validated the decision to go down that path," says Roberts, who is officially retired but still works from his office at the University's Newcastle Institute for Energy Resources (NIER) most days. "Our work has spanned everything from fine pharmaceutical powders, to plastic powders, agricultural grains, domestic waste and minerals such as iron ore, bauxite and coal. Bulk solids handling is a complex aspect of the industrial process that applies to anything that is transported in powdered or granular form." Jameson was already a respected expert in fluid mechanics when he came to prominence in the 1980s with his invention of the Jameson Cell. A froth flotation device for recovering fine mineral particles from mine waste and low-yield sources, it was smaller, faster and more precise than existing technology and was quickly taken up by industry. These days there are more than 300 Jameson Cells in operation in 21 countries around the world. As well as recovering billions of dollars worth of fine coal and minerals a year, they are being put to new industrial applications including extracting oil from tar sands in Canada and removing blue-green algae from waterways in central Australia. "It was one of those 'Eureka!' moments when all the work you have done beforehand comes together in one realisation," Jameson says of the moment he conceived the Cell. "I was with some students at a mine in Mount Isa and I looked at the equipment they were using and thought, 'I could build something better than that'." In their early years at the University, both Jameson and Roberts were committed to lifting the research profile of the engineering group, along with another long-time departmental leader Professor Terry Wall. Their establishment of research centres in multiphase processing, bulk solids handling and black coal utilisation was important both in facilitating the expansion of research and enhancing the status of the University as a leader in those fields. The University has long been a magnet for talented engineering students, researchers and academics and this is due in no small part to the reputations of Jameson and Roberts. Laureate Professor Graeme Jameson is a world renowned researcher creating the heralded Jameson cell. Organisation: University of Manchester Description: Gave the keynote address on Bubbles and Foams in Food. © 2014 by John Wiley & Sons, Inc. All rights reserved. The separation and recovery of oil that has spilled in the sea poses a number of problems. The first is to capture the oil/water mixture with the minimum amount of clean sea water. Once this has been done, further problems arise, such as the need to separate the oil from the aqueous medium, in large volumes, at high efficiencies and at an economic cost. Solutions to such problems have been found, and are already in operation in the resource and energy industries. The flotation process, which was initially developed to separate valuable mineral particles from waste material, has been successfully applied to the separation of organics. 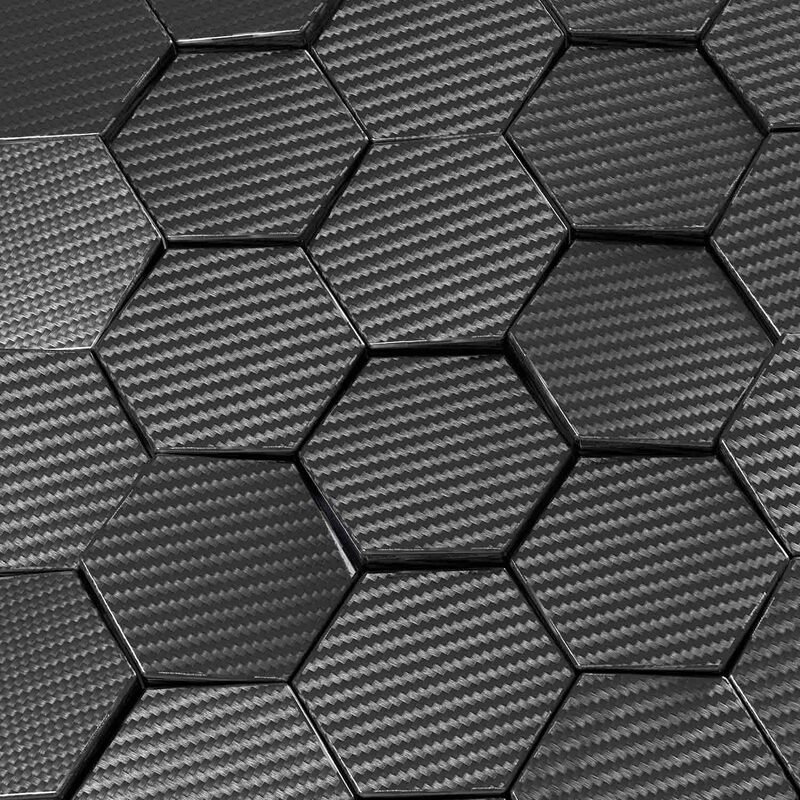 The Jameson Cell is a specific technology that has found widespread application for the recovery of organics during solvent extraction - electrowinning (SX-EW), and is now being used for recovery of bitumen in the processing of oil sands. The largest single cell in operation can handle 3,000m3/hr (792,000 US gallons/hr), and can readily be adapted to the treatment of oil spill separations. Here, the mechanics of the Jameson Cell are explained, and operational data presented. © 2016 Elsevier B.V. Only when the process of particle detachment is well understood and modelled can minerals recovery using the flotation process be modulated to achieve a high efficiency by suitably changing the operating parameters. This is vitally necessary for the recovery of coarse particles in an energy efficient way, as detachment is the key limiting factor in the successful recovery of large particles. However, until the detachment mechanism is more fully understood, an upper limit on the floatable particle diameter still remains unidentified. To assess the current state of knowledge available in this area, a comprehensive literature review on the mechanisms and models of the bubble-particle detachment process in froth flotation is presented. In general, the detachment process is considered to be a stochastic process, and is usually attributed to the dynamic interactions with the turbulent flow structures (eddies) in the flotation environment which cause particles to detach because of dissipating energy. In this paper, previous studies on bubble-particle detachment have been critically analyzed with respect to the formulation of the models in predicting the detachment probability of particles. The models are classified into three different categories: force balance analysis; energy balance analysis and empirical analysis of particle size compared to maximum floatable particle size. Attention is also paid to an understanding of the mechanisms of bubble-particle detachment in quiescent and turbulent liquid flow fields. The predictions of all these models have been compared with the published experimental data and it was found that models which take an accurate consideration of the influence of eddies on a particle&apos;s detachment give the closest predictions. The generally held concept of bubble-particle detachment inside an eddy was experimentally validated, where a particle was observed to rotate on the surface of a bubble, resulting in a centrifugal acceleration 20 times that of gravitational acceleration. The aim of this paper is to review the developments and limitations of the existing models. The experimental work is reviewed so as to reveal the mechanisms of bubble-particle detachment. Therefore, the future development of models is identified in order to successfully predict particle detachment. © 2016 Elsevier B.V. In this paper we present a new method for studying the detachment of particles from bubbles in a rotating turbulent eddy. The eddy is formed in a wall cavity in a two-dimensional water tunnel with transparent walls. When water flows through the tunnel, a vortical flow field develops in the cavity. The properties of the eddy can be modulated by changing the free-stream velocity of the water in the tunnel. Bubbles are pre-loaded with one or more particles in a fluidized bed flotation device located beneath the vortex cavity. Loaded bubbles are released one at a time into the cavity, and the motion of the bubble-particle aggregate is studied using a high-speed video camera. The diameters of the particles and the bubbles, and the number of particles initially attached to the bubble, can be varied. The trajectories taken by the bubbles are quite complicated. In some cases, the bubble moves to the centre of the eddy, and particles rotate around its axis. If the rotational speed is sufficient, particles may detach due to centrifugal force. However, other modes were observed, including inertial detachment due to rapid changes in direction of the surface of the bubble, because of changes in trajectory of the bubble as a whole, or because of pulsations and oscillations of the bubble surface. Clusters of bubbles held together by particles were seen to form and reform. In the traditional explanation for the detachment of particles in flotation cells, it is assumed that particles detach from bubbles rotating in an eddy due to centrifugal force (Schulze, 1977) . Although the conditions assumed in Schulze&apos;s theory may exist, it is only one of a range of phenomena that can lead to the detachment of particles from bubbles in a turbulent vortex. The interactions between bubbles and particles is stochastic in nature, and it is impossible to model precisely the series of events that take place when a particle and a bubble make contact with each other and move through the liquid. 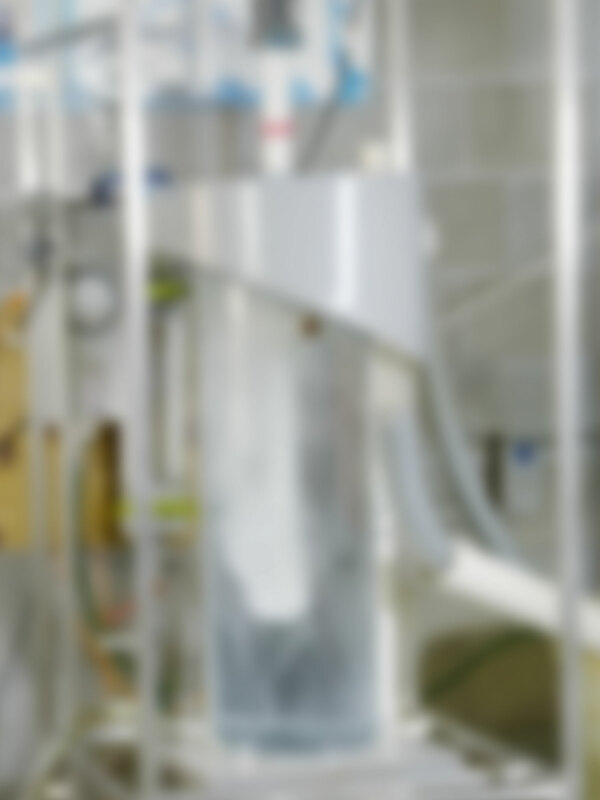 There can be no simple model for the recovery of hydrophobic particles in flotation machines. © 2015 Elsevier B.V. The behaviour of bubble clusters in turbulent conditions has been studied theoretically. The cluster behaviour was modelled based on concept drawn from the related field of bubble breakup. It was assumed that the bubbles were bridged by particles, so the cohesive strength was determined by the capillary force between the bubbles and the particles. Two different theories were investigated for the disruptive force from the turbulent liquid: the shear rate hypothesis of Camp and Stein (1943), and the turbulent fluctuation model arising from Kolmogorov&apos;s theory of isotropic turbulence (Kolmogorov, 1941). It was found that neither method is applicable in the fragmentation stage. However, in the equilibrium stage, an equation derived from Camp and Stein&apos;s theory was more realistic than that obtained using Kolmogorov&apos;s equation. © 2014 Elsevier B.V. The rate of capture of particles decreases as the particle size increases in froth flotation. It has been postulated that the upper size range of particles that can be recovered in conventional machines could be extended by the use of bubble clusters .This study is concerned with the behaviour of bubble clusters in turbulent flotation cell. The breakup and re-formation of clusters and the effect of bubble size and impeller speed on the behaviour of clusters have been investigated. The apparatus used was essentially a laboratory flotation cell, agitated by a Rushton turbine. The cell was modified to allow pre-formed clusters to rise out of a fluidized bed and into the path of the rotating impeller. The events were captured using a digital camera, and the images were analysed to give the sizes of the bubbles and clusters.In the first part of the investigation, a collector was used but no frother. Under these conditions, the bubble diameter was effectively controlled by the collector concentration, and it varied considerably. It was found that the sizes of clusters decrease with increasing shear rate at low impeller speeds, and at higher speeds the clusters are broken up into bubbles and particles.In the second part, frother was used at a concentration above the critical coalescence concentration, to control the bubble size, which remained essentially constant at this concentration. The bubbles were too small to be broken by the action of the impeller, so they always remained at the same size. In this case it was found that when the impeller speed was increased, two stages of formation were observed, the fragmentation and equilibrium stages. In the fragmentation stage, at low impeller speeds, the clusters were loose and filamentous, and as the energy input increases, they rupture and re-form. In the second stage, above a critical impeller speed, dense clusters formed whose size was relatively insensitive to the energy input. © 2015 Elsevier Ltd This paper presents the results of a thorough investigation into the froth recovery measurements in a controlled plant environment using a device that allows direct collection of dropback particles from the froth phase. Experiments were performed at the Northparkes concentrator (NSW, Australia), using a feed taken from the head of the cleaner scavenger bank. The feed slurry had a relatively higher copper grade varying from 5.2% to 6.8%. Experiments were performed to investigate the effect of important flotation parameters such as air flow rate and froth depth, on the froth performance. The size of the particles in the relevant streams was analysed to acquire in-depth knowledge about the froth dropback mechanism. The results suggested that the froth recovery could be as low as 70%, although it was relatively easy to achieve the values in the range 75-85% by the correct choice of operating variables. It was found that the air flow rate has a positive impact on both collection (pulp) and froth zone recoveries. However, the effect was more prominent in the froth zone. It appeared that the froth recovery is a strong function of particle size. © 2015 Elsevier Ltd. An investigation into froth zone recovery in a controlled plant environment is presented. The effect of operating conditions on the froth performance is given in our previous work (Rahman et al., 2015). This paper is primarily concerned with the influence of chemical properties such as frother and collector concentration on the froth behaviour. The results suggested that increasing the collector concentration gave expected results in the collection (pulp) zone, with a significant increase in coarse particle recovery. However, at high collector concentrations, it was observed that there was an increase in bubble coalescence and froth instability as well as a slight decrease in froth recovery. Increasing frother concentration gave a significant improvement in froth recovery and a slight increase in the collection zone recovery was also found. This was attributed to the formation of finer, more stable, bubbles and a corresponding increase in froth stability. Size and grade analysis of the samples suggested that the dropback particles were mainly composite or middling fractions. It appeared that particles whose grade was higher than the feed may be collected into the froth zone, but some particles with grades lower than the concentrate may detach from the froth. © 2014 Elsevier Ltd. All rights reserved. This study is concerned with the behavior of bubble clusters in a well-controlled turbulent flow. We used a specially designed cell where the bubble aggregates could be formed and exposed to breakage by a rotating impeller. The effects of impeller speed and the concentration of collector on cluster behavior were studied. It was found that the size of the clusters increases with the concentration of collector used. We also found that although the clusters could easily be destroyed under the action of impeller, they could reform, especially at lower impeller speeds. It was observed that the size of the bubbles arriving into the impeller region in the absence of particles before breakage was considerably higher than the size of the clusters formed at the same impeller speed. It appears that both cluster breakage and re-formation take place simultaneously, and the extent of formation and regrowth is mainly determined by the hydrophobicity of the particles and the impeller speed. © 2014 Elsevier B.V. All rights reserved. A flotation detachment model is developed by considering energy balance in the process. Energies concerned are surface energy increment and kinetic energy supplied by turbulent liquid motion. Surface energy increment is the work of adhesion by surface forces which is reflected by surface tension and contact angle. What makes this model outstanding from other detachment models of energy balance perspective is more accurate account of kinetic energy supplied from turbulent liquid motion. Eddies in the same scale as attached particles are considered accountable for particle detachment in the close vicinity. In this way, detachment probability is written as a function of energy dissipation rate. Predictions from different models are compared to experimental results. It is demonstrated that previous models overestimate the influence from turbulent liquid motion. Notably, with more accurate account of eddies&apos; influence, the new model predicts particle detachment in accordance with experimental results. © 2014 Elsevier B.V. All rights reserved. Coarse particles are more difficult to float. One of the factors that contributes to poor floatability is the stability of froth. The froth formed in industrial flotation cells is typically not strong enough to provide adequate support for coarse and dense particles. The present study investigates how the presence of hydrophobic submicron particles at low concentration increases the recovery of relatively coarse particles through improvement in the froth stability. Silica particles with d80 of approximately 230 µm were floated in a laboratory mechanical flotation cell in a collector-free environment in the presence of poly(propylene glycol) 425 as a frothing agent. The hydrophobicity of the feed particles was modified through an esterification process with different alcohols ranging from 3 to 8 hydrocarbon groups to form a coating of intermediate hydrophobicity. Hydrophobised silica submicron particles of 300 nm in size were added to the flotation cell at 0.01 and 0.1 wt% concentration. The effect of electrolyte, sodium chloride, in the concentration range 10-5-10-1 M on the recovery of coarse particles was also investigated. For the feed employed, 1-butanol was found to provide relatively good flotation properties with a possibility for improvement by stabilising the froth phase. Both additives slightly stabilised the froth phase, which resulted in an increase in the maximum recovery of up to approximately 8%. It appeared that the additives had no significant effect on the first-order flotation rate constant. © 2014 Canadian Society for Chemical Engineering. Turbulence plays a critical role in detachment process of bubble from a solid surface. To investigate this effect, detachment process of a stationary air bubble from a nozzle in both quiescent and turbulent liquid field was studied. A stationary vertical (flat-ended) needle of ID 1.24mm was used as a nozzle to generate a bubble which was anchored to the needle tip. Different sizes of bubbles were generated in quiescent liquid. Volume and contact angle for these bubbles were measured precisely using microscopic imaging technique and correlated. In the quiescent case experiments, a constant contact angle of 90° and bubble diameter of 3.05±0.004mm were obtained consistently. A simple force balance approach was proposed assuming bubble in equilibrium to determine this maximum bubble diameter during detachment. The detached bubble size calculated using this approach agreed fairly well with the experimental results. An oscillating grid device capable of operating at different frequencies was then applied to generate a homogeneous, near-isotropic turbulent velocity field around the anchored bubble. It was observed that for detachment of smaller bubbles, higher turbulence intensity was indeed necessary. The turbulent flow field was quantified using particle image velocimetry (PIV) technique and resolved into flow structures (eddies) of different length scales using a Gaussian filter. It was concluded that smaller eddies perturbed the bubble interface whilst the larger eddies contributed to weakening of the capillary force causing the bubble detachment. Energy dissipation profile obtained from the PIV images indicated significant energy dissipation near the bubble compared to the bulk fluid which supported the fact that strong interactions between bubble and eddies were indeed responsible for bubble detachment. In this paper we investigate the hypothesis that when bubbles carrying attached hydrophobic particles arrive at an air-liquid interface, the abrupt change in velocity is sufficient to dislodge attached particles, which fall back into the liquid. For the first time, experiments have demonstrated a case in which the particles do not detach, but move smoothly over the surface of the bubbles. The kinetic energy of arrival is dissipated by the motion of the particles through the liquid, as they move over the surface of the bubble while remaining attached. Some energy is also dissipated by the pulsations of the bubbles. The pulsations themselves do not lead to detachment of particles. A theory has been developed to explain the observed phenomena. © 2014 Published by Elsevier B.V.
An understanding of the breakdown of mine costs is an important tool for researchers and developers who seek to place novel cost-reducing unit operations in the wider general cost context. This paper provides a breakdown of operating costs in 63 mines by dividing them into three main categories: mining, milling, and general and administrative (G & A) costs. The study looks at patterns in mining type, mill processing type, mineral type, and the differences between costs expressed in feasibility studies vs. operating mines. The paper explores the reasons for the relationships observed and then presents a total average mine cost breakdown. It was found that the mean relative mining and milling costs did not differ significantly, and that on average they had equal shares of the total enterprise operating costs. Effects of mine and mineral type were observed, with underground milling costs being significantly less than open pit milling costs and gold mines occupying a significantly larger share of mine operating costs than copper-containing mines. The overall relative operating costs were found to be in the ratios between (43:43:14) and (45:45:10) (Mine:Mill:G & A). A treatment of potential unit operations and innovative technologies is provided at the conclusion of the paper, including coarse particle recovery by flotation and novel grinding technologies. © 2013 Published by Elsevier Ltd.
Foams represent an important area of research due to their relevance in many industrial processes. Where there are geographical constraints, which can limit access to fresh water, there is an economic incentive in using recycled water, bore water and even seawater for industrial purposes. This creates a growing interest in determining the effect of inorganic electrolytes on foaming and gas dispersion properties of non-ionic surfactant solutions. The present study compares the foaming and gas dispersion properties of the non-ionic surfactants 1-pentanol, tri(propylene glycol) methyl ether, and poly(propylene glycol) 425. For all surfactants, the stabilisation mechanism was influenced by the concentration of surfactant and the presence of salt with PPG being affected to a lesser extent. Sodium chloride was observed to have a detrimental effect on foaming at higher surfactant concentrations but improved foaming at low surfactant concentrations. At low surfactant concentrations, the addition of salt improved foaminess by dampening the hydrophobic force. An increase in gas holdup with increasing surfactant concentration was observed and was attributed to a decrease in bubble size. For poly(propylene glycol) an initial decrease in gas holdup was observed at very low concentrations. Salt mainly affected gas dispersion properties at a higher concentration. © 2014 Elsevier Ltd. This paper is concerned with the tracking of particles in the froth phase of an aerated water/glycerol mixture. Experiments have been carried out in a specially designed laboratory flotation cell that allows formation of a deep froth. Phosphorescent tracer particles of various sizes were injected into the centre of a froth column where they were excited by ultraviolet lights, positioned at the back and front of the column. The motion of particles was captured on a digital camera with a green filter. The images from the digital camera were then transferred to a computer and an image analysis program was used to convert the colour intensity to the concentration of particles at each location within the froth. The tracer technique was used to determine the dispersion of hydrophilic particles and the variation of the concentration of solids with axial and radial positions. This paper is concerned with the observation and analysis of bubble clusters in a laboratory flotation cell. A device was used in which bubbles were allowed to rise in clean water containing the same frother and collector concentration as in the cell. Bubble clusters were recorded using a high speed camera and analysed using an image analyser. Dodecyl amine was employed as a collector to float silica. The effect of impeller speed on the cluster behaviour was investigated. The results were interpreted in terms of cluster diameter and shape factor. The sizes of the bubbles forming the clusters were also measured and compared to the sizes of the independent bubbles in the cell. It was found that there was an optimum impeller speed in which the cluster diameter was a maximum. Higher agitation and the consequent higher power inputs resulted in cluster break-up while lower shear rates promoted cluster formation. The dewetting kinetics between a small air-liquid interface and a silica (negatively charged in water) planar surface in solutions of dodecylammonium chloride (cationic surfactant) has been investigated using the Scheludko cell and digital high-speed video microscopy. The gas-liquid interface was created at the bottom of a small silica capillary of the cell and then was moved towards the silica planar surface. After the rupture of the liquid films between the interfaces, the expansion of the gas-liquid-solid three-phase contact (TPC) line was observed and recorded using a digital high-speed video microscope system, operating at 1000 frames per second. The surface tension of the surfactant solution was measured using the pendant drop technique. The equilibrium contact angle was measured using the Scheludko-Minings method with a silica micro-sphere. The TPC radius was determined as a function of time and compared against the available hydrodynamic and molecular-kinetic models. The experimental data are described very well by the molecular-kinetic model for the TPC line motion. The hydrodynamic model is in agreement with the experimental data only for a short time after inception of the three-phase contact expansion. The flotation cell has undergone a number of changes since the process was first introduced in Broken Hill in the early years of this century. The development of the mechanical flotation cell is reviewed, followed by a discussion of more recent developments such as the flotation column, the air-sparged hydrocyclone, the Wemco-Leeds cell, the Bahr and Deister columns and the Jameson cell. 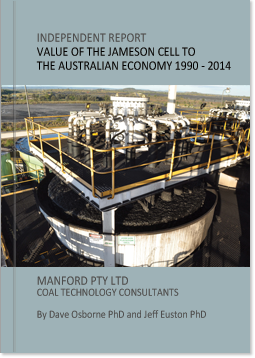 The Jameson flotation cell was developed jointly by Mount Isa Mines Limited and Professor G.J. Jameson of the University of Newcastle. The cell has been used in a number of cleaning applications within Mount Isa Mines Limited, and other mines within Australia. In 1990 the cell was tested in a number of flotation plants treating a variety of ores around the world. This paper describes testwork at two medium sized concentrators in Arizona and at the Kidd Creek Concentrator. In these cases Jameson Cell testwork involved treatment of zinc and copper in roughing and cleaning stages. © 1991. Results are given for a series of tests in which a 300 mm pilot-scale Jameson cell has been used in copper recleaner flotation, and for the flotation of a lead rougher feed. The results indicate that the production rate of solids, at the same superficial air velocity Jg, is higher than in conventional columns. Thus in the copper recleaner application, the pulling rate reached 14 gm/cm2/min compared with between two and three for an operating column, while in the lead cleaner application the comparable figures were 12 - 14 gm/cm2/min for the Jameson cell vs 8 - 9 gm/cm2/min for a test column. A froth crowder was used to increase the air superficial velocity Jgin the Jameson cell in the copper recleaner, while holding the collection mechanism and pulp feed rates constant. The recovery increased from 50 per cent to over 90 per cent, suggesting that recovery is controlled mainly by the froth conditions, rather than the particle-bubble interactions in the downcomer. Dispersion characteristics of gas phase in a gas-liquid stirred vessel were studied with bubbles of two different sizes, in terms of the stirrer speeds required to disperse them completely in the vessel. As expected, observations show that smaller bubbles are dispersed and recirculated at lower speeds, thus giving larger holdups for the same operating conditions. It has been found that aerated power number versus aeration number plots can be used to identify the stirrer speeds required for the &apos;complete dispersion&apos; (NCD) and &apos;recirculation&apos; (NR) of bubbles. Simple expressions, based on the bubble terminal rise velocity and average liquid velocity in the tank, are suggested to predict NCD and NR. There is reasonable agreement between the predicted and the experimentally determined values. The physical variables that influence the rate of flotation are examined. The probabilistic model of flotation is used to establish the effect of the particle si2e and density, bubble size and agitation on the rate of flotation. In quiescent flotation, it appears that the flotation rate is limited by the particle-bubble collision and subsequent attachment of the particle to the bubble. For fine (<20 ftm) or low density particles the remedy for low recovery rates would be to either use small bubbles of the order of 100 ftm, or to use moderate to high agitation with larger bubbles. In the usual turbulent conditions, the limit is set by the destruction of the bubble-particle aggregates. Broadly speaking, the same parameters favour both attachment and detachment so that the ultimate flotation rate is a compromise between these two competing mechanisms. The bounds which define the best agitation level and bubble size to use are strong functions of the particle size and density. This results in conflicting requirements for the optimum flotation of the fine and the coarse particles. Best conditions for the flotation of each are indicated. © 1989, Taylor & Francis Group, LLC. All rights reserved. A column flotation cell is described in which the contact between the feed and the air stream is made in a mixing device at the top of a vertical downcomer. The air-liquid mixture flows downward to discharge into a shallow pool of pulp in the bottom of a short cylindrical column. The bubbles disengage and rise to the top of the column to overflow into a concentrate launder while the tails are discharged from the bottom of the vessel. The main advantages of the device are that the overall height of the column is reduced to about 1 m (3 ft) and the column can be self-inducing with respect to the air supply. Experimental results are given from tests on a feed stream to a conventional zinc cleaner circuit. Using wash water to reduce gangue entrainment, the column gave high concentrate grades and high recoveries. Liquid hold-up in wire-mesh mist eliminators has been measured. Ergun-type equation is proposed to predict the pressure drop across the mist eliminator over the entire range of operation. Pressure drop, measured at five different conditions of liquid loadings for two different types of mist eliminators, compare reasonably well with the values predicted by the model. In the flotation of fine particles, problems arise which do not occur with coarse-ground pulps. For example, the presence of colloidal or near-colloidal gangue particles gives rise to excessive entrainment in the froth, with reduced grade as a consequence. If the values themselves are finely disseminated, the recovery usually decreases as the particles diminish in size, so a low recovery is combined with poor grade. This paper is concerned mainly with recent investigations which appear either to highlight or identify the causes of various problems with fines, or which may point the way to the future. For present purposes, we shall consider that the surfaces of the particles to be floated are suitably prepared, so that they are hydrophobic and will form a finite static contact angle with an air-liquid interface. The discussion deals mainly with the experimental evidence for the effect of the numerous variables on the flotation rate, or recovery, of fines, and the measures which can be taken to improve recovery. The behaviour of fines in the froth is also considered. Refs. &apos;Fine&apos; particles are generally considered to be < approx 20 mu m in diameter. The special problems arising with fines can probably be ascribed to low inertia and electrical forces. The overall flotation rate is the result of a balance between collection or attachment mechanisms and those of detachment. The effect of bubble size and the charge on particles and bubbles are discussed. Other topics covered include slime coatings, colloid flotation, bulk phenomena in the froth, and particles in froth films.-J.M.H. © 2016 TAPPI Press. All rights reserved. In this paper we present a new method for studying the detachment of particles from bubbles in a rotating turbulent eddy. The eddy is formed in a wall cavity in a two-dimensional water tunnel with transparent walls. When water flows through the tunnel, a vortical flow field develops in the cavity. The properties of the eddy can be modulated by changing the free-stream velocity of the water in the tunnel. Bubbles are pre-loaded with one or more particles in a fluidized bed flotation device located beneath the vortex cavity. Loaded bubbles are released one at a time into the cavity, and the motion of the bubble-particle aggregate is studied using a high-speed video camera. The diameters of the particles and the bubbles, and the number of particles initially attached to the bubble, can be varied. The trajectories taken by the bubbles are quite complicated. In some cases, the bubble moves to the centre of the eddy, and particles rotate around its axis. If the rotational speed is sufficient, particles may detach due to centrifugal force. However, other modes were observed, including inertial detachment due to rapid changes in direction of the surface of the bubble, because of changes in trajectory of the bubble as a whole, or because of pulsations and oscillations of the bubble surface. Clusters of bubbles held together by particles were seen to form and reform. In the traditional explanation for the detachment of particles in flotation cells, it is assumed that particles detach from bubbles rotating in an eddy due to centrifugal force (Schulze, 1977). Although the conditions assumed in Schulze&apos;s theory may exist, it is only one of a range of phenomena that can lead to the detachment of particles from bubbles in a turbulent vortex. © 2015 Published by Elsevier Ltd. Coarse particle (typically more than 100 micrometers in diameter) flotation is adversely influenced by liquid motion resulting from energy input associated with mixing of the gas and solid phases. In particular, the collected particles can become detached from the bubble as the particle-bubble aggregate passes through regions of different turbulent levels. The dynamics of particle-bubble-turbulence interaction is almost impossible to visualize within a real flotation environment as the phases are in constant motion which changes with time and position. To study the phenomenon of the particle bubble detachment process the problem was mimicked in such a way as to have a bubble detaching from a stationary 3 mm diameter steel particle in the turbulent field. A bubble of known volume was firstly introduced onto the submerged particle surface via a syringe needle. Image analysis was used to determine the bubble-particle contact angle and radial position of the three phase contact line under quiescent conditions. An oscillating grid device was then used to generate turbulent liquid motion around the particle-bubble aggregate. Particle image velocimetry (PIV) was used to quantify the instantaneous velocity field around the disturbed bubble. Laser induced-fluorescence (LIF) was applied to filter out the (green) internally reflected light from the bubble so that only the (orange) light from the fluorescing seeding particles was collected. The PIV-LIF images were then analysed by firstly utilising a masking technique to eliminate spurious velocity vectors inside the bubble. The velocity data in an envelope surrounding the bubble was extracted to calculate local, instantaneous values of liquid velocity, turbulent kinetic energy and energy dissipation rate. It was found that the flow structures generated by the oscillating grids resulted in a lateral inclination of the gas-liquid interface at the three phase contact line. The subsequent change in the dynamic contact angle resulted in a reduction in the capillary (attachment) force, and at a high enough turbulence level it became less than the buoyancy (lift-off) force and detachment of the bubble from the particle surface took place. The detachment events observed in this study is analogous to what actually takes place in mineral flotation cells where the bubble-particle aggregate is in motion. When mineral particles are floated in a mechanical flotation cell, it is found that the rate constant, after reaching a maximum value, starts to decline as particle size increases. It had been thought that the reduction in rate constant had been due to the increased prevalence of composite particles in natural ores, for larger particles. However, Jameson (2012) showed that the rate constant for composites is certainly a function of the surface liberation, but the reduction in flotation rate is independent of particle size. Thus all particles are equally affected by reduced surface liberation, independently of their size. He further argued that the classical peak observed in the rate constant with increasing particle size, is a function of machine hydrodynamics. Thus in mechanical cells, the peak may be due to the high energy dissipation rate and its effects on the detachment of particles from bubbles (Goel and Jameson, 2012). Consequently, in a different flotation environment, it may be possible to float large composite particles that cannot be floated in mechanical cells. This paper describes the flotation of large composite particles in a fluidized bed flotation cell. The particles to be floated are fed to a column in which there is a continuous upflow of liquid. A conventional froth layer of controlled depth is formed at the top of the vessel. A fluidized bed of particles is established which provides a gentle environment for the contacting of large particles with bubbles. An example is given where a porphyry copper ore was prepared at a top size of 710 µm, and floated with conventional collector (PAX) and frother (MIBC). The concentrate was separated into size fractions and examined by photography. Composites were observed at all size fractions, but above 400 µm, all particles were composites. The implications for future flotation circuits will be described. A useful particle sizing technique of forward light scattering is described, which is utilised by the Malvern Laser Particle Sizer. This new technique has been used to measure the particle size distributions of three powders, (silica, latex and minusil) and the results compared with size distributions determined by the more traditional techniques (Coulter counter, Warman cyclosizer and Andreasen pipette). The new instrument showed good agreement with existing techniques for those samples in which the particles were spherical. The rate of coalescence of oil droplets with activated carbon has been studied in a stirred, baffled vessel. The role of agitation, solid phase hold-up and the pH are determined. The coalescence rates are found to be a function of both the physical and chemical environments. The results are discussed in the context of the coal agglomeration process. A new technique for the measurement of bubble film drainage time has been developed. The technique is based on interference to a laser beam and allows rapid, automatic determination of bubble persistence time at a liquid surface. The technique has been used to measure the drainage times of bubbles rising in pure water and electrolyte solutions. The effect of electrolyte is to increase drainage time initially but with increases in electrolyte concentration drainage time tends to decrease. Particles of quartz less than 45 mu m in diameter are floated using four bubble sizes and six levels of agitation. The effect of bubble size on the rate of flotation of fine quartz particles is reported. The results show that the flotation rate can be considerably enhanced through the use of small bubbles. 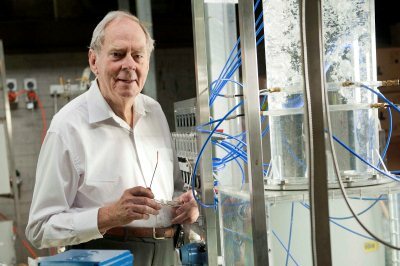 University of Newcastle chemical engineer Laureate Professor Graeme Jameson AO has been honoured by one of the most prestigious organisations in the world – the Royal Society, which boasts a fellowship of 1,600 of the world’s most eminent scientists. University of Newcastle Laureate Professor Graeme Jameson AO, has become the inaugural recipient of the Prime Minister’s Prize for Innovation. Laureate Professor Graeme Jameson AO has been awarded the NSW Scientist of the Year at the 2013 NSW Science and Engineering Awards. 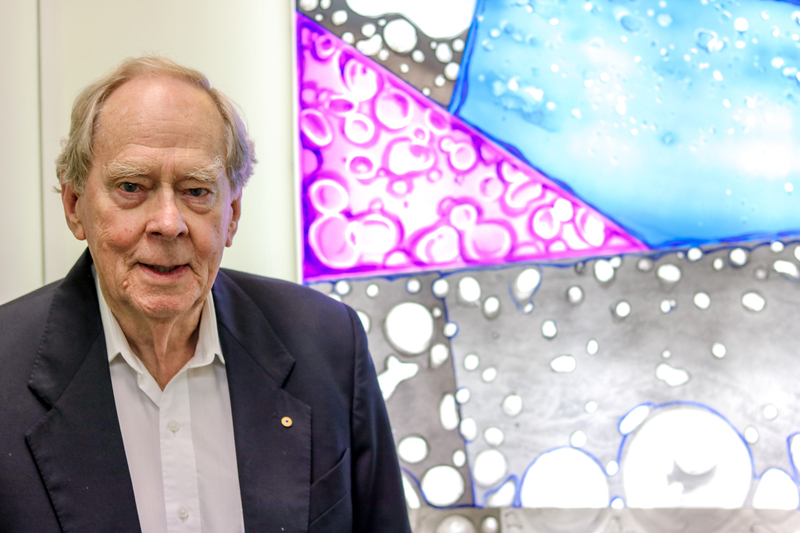 Laureate Professor Graeme Jameson AO, the inventor of the acclaimed Jameson Cell, has won another prestigious global award to add to his already impressive list of awards and medals gathered during an illustrious career as a scientist and researcher.